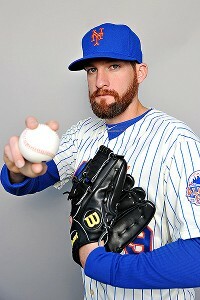 Bobby Parnell got the call and the save Wednesday afternoon. MIAMI -- A day later, Bobby Parnell got a chance to close out the game. He did not disappoint. After consecutive games in which the Mets failed to protect a one-run leads with three outs to play, Parnell breezed through a 1-2-3 ninth inning to close out a 7-6 win Wednesday afternoon against the Miami Marlins. He required only seven pitches. Parnell had been upset with Terry Collins for failing to use him in the ninth inning Tuesday. Collins explained to Parnell that night that he did not want to overuse the closer and risk causing elbow troubles. Brandon Lyon instead tossed a game-ending wild pitch. Parnell had logged two innings Monday in a blown save. Wednesday’s save conversion, which allowed the Mets to snap a six-game losing streak, made it simpler to put everything behind heading into a team off-day.